The JBL Live 650BTNC offers good noise-cancellation, battery life, comfort, and features for a great price. 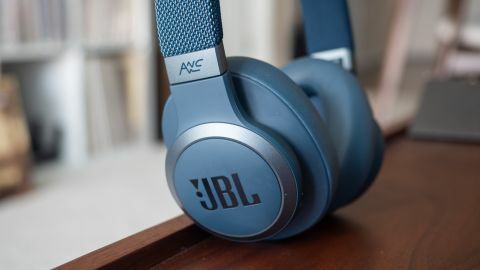 We came away impressed at the well-rounded package JBL put together here and highly recommend it those who don’t want to splurge on the flagship ANC headphones from Bose and Sony. When it comes to wireless active noise-cancelling (ANC) headphones, everyone knows that Bose and Sony rule the roost with the QC35 II and the WH-1000XM3. These headphones offer the best ANC headphones on the market, hands down, but at around $350 (£299, AU$400), they're not cheap. So what about those of us who don't have that kind of money to spend on headphones? Well, if your budget is half of that, there are a few solid options like the Plantronics BackBeat Pro 2, Sennheiser HD 4.50 BTNC, and now, the JBL Live 650BTNC. For $200 (£180, AU$250), the JBL Live 650BTNC are an excellent balance of sonic performance, battery life, features, and price. For half the price of what Sony and Bose charge, you get 80% of the performance. After spending a few weeks with them, we found ourselves not missing the more expensive headphones. Where the Sony and Bose look a bit plain, JBL mixes it up with a mature, yet fashionable design. The 650BTNC come in three different colorways - black with copper accents, all white, and the blue and silver combo that you see with our review unit. In terms of materials, the headband is made of durable cloth you’d find on JBL’s Bluetooth speakers, which should stand the test of time, and the ear cups are made of a faux leather that’s extremely comfortable on the head. The overall construction of the headphone is very good, and there’s a nice blend of metal, cloth, leather, and plastic. Although some users may balk at the use of plastic, it makes for a light headphone that you won’t mind wearing for hours. To that end, we found the JBL Live 650BTNC to be one of the most comfortable headphones we’ve tested and although it wasn’t as feather-light as the Bose QC35 II, we had no problem wearing them for an entire workday and on our commute. Speaking of commuting, the headphones fold up and flat for travel and come with a cloth pouch. We would have liked to see a hard case to protect the headphones but that’s a nitpick at this price point. The headphones also come with a 3.5mm cable for using when you’re out of juice or simply want to maximize the battery life for noise-cancelling. Also included is a flat microUSB charging cable. Now for the bad news: The 650BTNC uses the old microUSB standard, which is disappointing if you want to use one USB-C cable to charge all your devices. Where JBL cut down on cost was by making most of the controls on the headphones physical buttons rather than touch capacitive like Sony has done on the 1000XM3; On the right ear cup you have a power/pairing slider, volume and media controls, pairing button, and ANC toggle switch. Another nicety that Sony offers and JBL lacks is adjustable ANC to let in some ambient noise when someone is talking to you... but you can’t really fault JBL for omitting the feature at this price point. The only touchpad control is on the left earcup and it's used to activate your voice assistant of choice - either Google Assistant or Amazon Alexa - however, you’ll just have to download the corresponding app on your phone, as well as the JBL Headphones app to use it. If voice assistants aren't for you, you'll still want to download JBL's app as it allows you to set custom EQs, check battery life, and update the headphones. The experience is a bit rudimentary but it gets the job done. The sound of the JBL Live 650BTNC can be summed up by one word: exciting. These headphones offer awesome dynamics where bass slams hard while not overwhelming the mids or highs. Moreover, highs are exciting and just on the edge of being bright at times, and while the bass was a bit much for our liking, we can see many enjoying the extra low-end punch. In terms of resolution, the AKG N700NC out perform the JBL but we didn’t like the AKG’s comfort. However, we prefer the JBL’s sound to the Bose QC35 II, which is a bit too soft and blurry for tastes. When it comes to keeping sound out, the 650BTNC's noise-cancelling is good but not class-leading. In our testing the JBL Live 650BTNC managed to drown out voice well and most of the sounds of our loud commute on the train, however there was a soft hiss when no music was playing and there was slight pressure on our ears. While ANC is not as good as Bose and Sony, we did find it better than the Plantronics BackBeat Pro 2, which is in the same price range. Battery life is rated at 20 hours with ANC and wireless enabled and we had no problems reaching that number at medium volume. Better, we often saw an hour or two more if we kept the volume low and had the headphones idle. If you use the JBL Live 650BTNC with a wire with ANC enabled, you can get upwards 30 hours on a single charge - more than enough for a trip overseas. Google Assistant and Amazon Alexa worked as expected but we found that it was too easy to trigger them accidentally by brushing up against the touchpad. Honestly, we wish the assistant feature was a physical button instead of a touchpad. For the money, the JBL Live 650BTNC punch above its weight in terms of sound quality, build, and features. The cons we have listed above - like mapping the assistant to the touchpad and its use of microUSB - are simply nitpicks with none of them being outright deal-breakers. That said, we came away very impressed at the well-rounded package JBL created for the market and would certainly recommend them to anyone in the market for a cheap pair of noise-cancelling headphones. For the same price, the Plantronics BackBeat Pro 2 have long been our go-to recommendation but they’re getting long in the tooth at this point. They have niceties like auto play-pause when you take off the headphone but the JBL has support for voice assistants, is built better and sound better. If you don’t want to splurge on the Bose QC35 II or Sony WH-1000XM3, you’ll be satisfied with the JBL Live 650BTNC knowing that you’re not sacrificing too much in the way of performance or features.